Opioid addiction has become an epidemic that appears only to be getting worse. One factor that contributes to the increasing opioid crisis is the new forms of drugs that make their way onto the market. One of the worst forms is called Fentanyl, which is heroin’s synthetic counterpart. What makes fentanyl so dangerous is that it is much stronger than heroin. In fact a lethal dose of heroin is equal to around 30 milligrams while a deadly dose of fentanyl only requires 3 milligrams. The Centres for Disease Control and Prevention reports that fentanyl is 50 to 100 times more potent than morphine. Why is synthetic fentanyl deadlier than heroin? Drug users often do not realise that their heroin is spiked with fentanyl. Therefore, when they inject their usual dose of heroin, they can unintentionally take a lethal dose of the drug. Additionally, dealers may try to add fentanyl to increase potency but their measuring equipment is generally not sufficiently calibrated to guarantee they do not reach fatal levels. Fentanyl that people can buy on the streets is typically made in an illegal lab, which makes it less pure than the pharmaceutical form and therefore can cause unpredictable effects. Fentanyl was initially used as an anaesthetic. Doctors recognised its effectiveness at relieving pain in small doses and began using it to treat pain. When trained professionals administer fentanyl using laboratory-grade equipment, the drug has a range of healing applications and can be used in a safe and effective way. Prescribed fentanyl is only given to individuals who already take opiates to manage their pain. If a person who is not familiar with taking opiates uses or abuses fentanyl, they have a high chance of overdosing because of its potency. The effects of fentanyl occur quite quickly and also pass quite quickly. Therefore, medical professionals typically prepare fentanyl in ways that make it difficult for a person to overdose, such as a fentanyl lollipop that dissolves slowly. People who suffer from cancer pain may also be given fentanyl in forms such as patches, which release the substance over one to three days, or sublingual film, which is a small sheet of film that you place under your tongue to allow it to dissolve. Despite these efforts, some individuals abuse fentanyl through various methods. 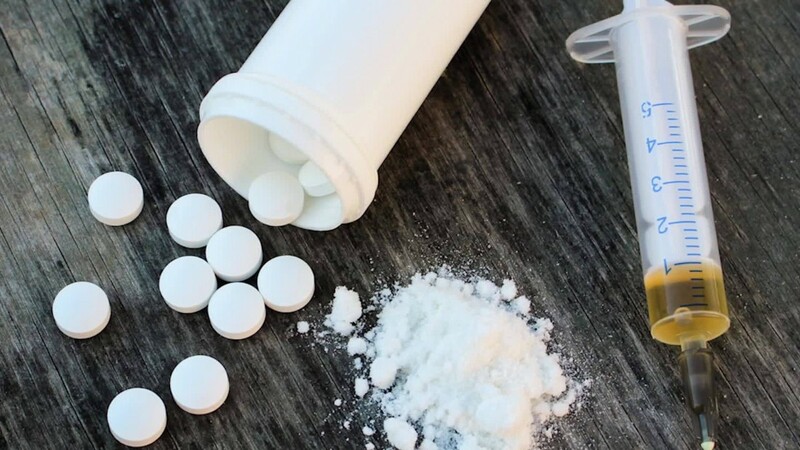 Fentanyl offers similar effects such as heroin, morphine or oxycodone, with symptoms such as pain relief, euphoria, fatigue, sleepiness, nausea, itchiness, vomiting, warm and inclination to nod off. Every opiate suppresses breathing, which is a significant reason why people die when they take too much of the substance. When a person combines fentanyl with other drugs that suppress breathing, like benzodiazepines or alcohol, it can be a recipe for death. A person on fentanyl will be numb and unaware of any worries, concerns or problems. In addition, opiates cause people to become immobilised or slow. They can also quickly build a tolerance, so more of the substance is required to reach the same effect of a previous dose. All opiates generally cause euphoria, though the effects can be so short-lived that it just causes sedation and drowsiness. This cycle is the effect of tolerance and is one of the dangers of opiate addiction. An individual may take more of fentanyl or other opiates to reach an intangible euphoria until they eventually overdose. How does a person recover from fentanyl addiction? Due to its potency, it is not advisable to stop taking fentanyl outside of a monitored environment, such as a medical detox centre or opiate addiction treatment centre . There are too many dangers and risks involved in withdrawing from the substance without the assistance of a trained medical professional. For example, fentanyl addicts may experience seizures or hallucinations during the withdrawal period. During medical detox, anticonvulsant medications may be used to treat physical symptoms along with anti-anxiety medications for psychological symptoms. Supervised drug detox helps a person come off of the substance in a safe and controlled environment and minimises symptoms of withdrawal. Stopping fentanyl use must be done gradually, and the person should enter an opiate addiction treatment centre afterwards to start overcoming their path to long-term recovery. Opiate rehab centres help people learn how to cope and succeed in life without being dependent on fentanyl. If you or your loved one is facing a problem with drug abuse or any form of addiction, now is the time to get help and start living a better life. Contact The Dawn today to receive a no-obligation assessment to find out how we can help. You can also call us on one of our toll-free numbers.